Alden’s Shutters & Doors is your expert for garage door installations in Keswick. We also offer services like repairs and maintenance. Our large selection of door models and glass styles for sale will fit just about any exterior design. 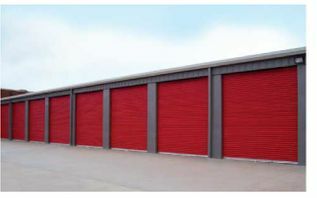 Choose from quality insulated steel or wood for your garage door. We also supply garage door openers, cables, springs, and other parts. For your convenience, Alden’s installs every door we sell. Our professional installations ensure your garage door is working to its full capacity. If your door should need any maintenance, Alden’s can repair broken doors, springs, and more. We carry a large selection of garage parts and cables to help us handle any problem. Residents of Fredericton, the surrounding areas, and all of the Province of New Brunswick can protect your homes from the elements with weather stripping services. Alden’s Shutters & Doors seals your garage doors to keep out water and keep in interior air, saving you energy on your heating and air conditioning bill. Don’t worry about your garage door breaking down. Alden’s professional repair and maintenance service ensures your garage door is working to its full capacity. We stock springs, cables, rollers, and other garage door parts which allow us to tackle a great number of repairs. Two trucks are at our disposable ensuring that we get to your location on time.